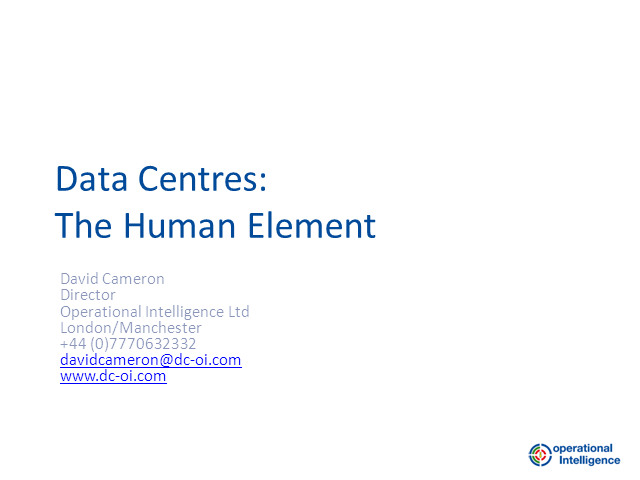 'Data Centres: The Human Element' is about the issues facing operators, particularly around risk management and energy saving. We will explore the learning environment and how we learn from experience and look at strategies for delivering highly reliable and resilient facilities. Operators are also under pressure to implement energy saving initiatives; we will address how to manage changes without compromising risk to the business, resulting in increased efficiency and reduced operating cost and share some case studies of client projects.